• Sales and Marketing qualifications would be an advantage. Do you find that people are motivated by you and follow easy under your lead? Our client is currently looking for a Business Development Manager who will be able to market business offerings to existing and new clients while offering excellent support and building client relationships. • Must be computer literate and have good working knowledge of Excel, PowerPoint, MS Word etc. 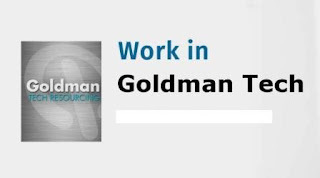 Email your CV to it.careers@goldmantech.co.za.